You’re probably careful not to each too much sodium (salt), especially if you’re watching your blood pressure. But you might want to focus your efforts on getting more potassium; for some people, this mineral may be as important in controlling blood pressure as sodium. Sodium and chloride are electrolytes, too, and the body needs a balance of these minerals to perform a host of essential funtions. Almost all the potassium in the body is found inside the cells. Along with other electrolytes, potassium is used to conduct nerve impulses, initiate musce contractions, and regulate heartbeat and blood pressure. Potassium control the amount of fluid inside the cells and sodium regulates the amount outside, so the two minerals work to balance fluid levels in the body. Potassium also enables the body to convert blood sugar (glucse) – its primary fuel – into a stored form of energy (glycogen) that’s held in reserve by the muscles and liver. Study after study has shown that people who get plenty of potassium have lower blood pressure than those who get very little. This holds true even when sodium intake remains high (though reducing sodium as well produces better results). In one US study, 54 people on medication for high blood pressure were divided into two groups. Half followed their regular diet; the other half added three to six servings of potassium-rich foods a day. After a year, 81% of those getting extra potassium were able to reduce their drug dosages significantly, compared with only 29% of the people following their regular diets. Through its beneficial effects on blood pressure, potassium may also decrease the risk of heart disease and stroke. In one US study, a group of people with hypertension who ate one serving of a food high in potassium every day reduced their risk of fatal stroke by 40%. A 12-year investigation found that men who got the least amount of poassium were two and a half times more likely to die from a stroke than men who consumed the most. For women with a low potassium intake, the risk of fatal stroke was nearly five times greater. May prevent high blood pressure, heart disease and stroke. The RDI for potassium for adults is 1950-5460 mg. More may be needed to control blood pressure. If you get too little: Potassium is contained in a wide variety of vegetables and fruits, so it’s practically impossible not to get enough of this mineral in the diet to perform the basic body functions. But serious deficiencies can occur in people who are taking a potent diuretic (a drug that reduces fluid levels in the body), or are suffering from an extreme case of diarrhoea or vomiting. The first signs of potassium deficiency are muscle weakness, tiredness and irritability. If potassium is not replaced, low levels could lead to heart failure. If you get too much: Potassium toxicity is highly unlikely because most people can safely consume up to 18 g a day. Toxicity usually occurs only if a person has a kidney disorder or takes too many potassium supplements. Signs of potassium overload (which are similar to the signs of a deficiency) include muscle fatigue and an irregular heartbeat. Potassium supplements may cause stomach irritation and nausea. Most people don’t need potassium supplements unless they’re taking certain diuretic medications. 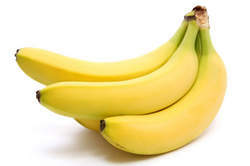 It’s best to get sufficient potassium in your daily diet. If you want extra insurance, take no more than 500 mg a day of potassium in supplement form. People who use ACE inhibitors (such as captopril or enalapril) for high blood pressure or angina should not take potassium supplements at all, nor should those who have kidney disease. If you use potassiu supplements, take them with food to minimise stomach irritation. Fresh fruits and vegetables – such as bananas, apricots, figs, peaches and potatoes (unpeeled) – are high in potassium. Nuts and seeds are also good sources. Don’t take potassium supplements without consulting your doctor if you have kidney disease or are taking medication for high blood pressure. If you get too little Potassium the first signs are muscle weakness, tiredness and irritability. If very low levels are not rectified, heart failure could result. Note that Potassium is easily lost in the urine.